Don't Let Your Fear Hold You Back! 98% success rate. No bone or sinus graft needed. 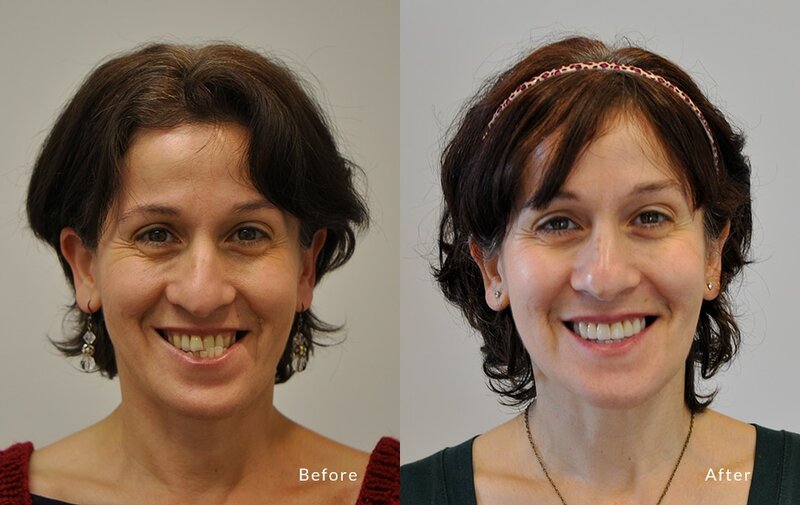 Transform your smile through aesthetic focused treatments, then share it with the world. Allowing us to provide the best possible care for you, especially if you suffer from dental anxiety. Restore the form and function of your smile with this long-term solution for tooth replacement. 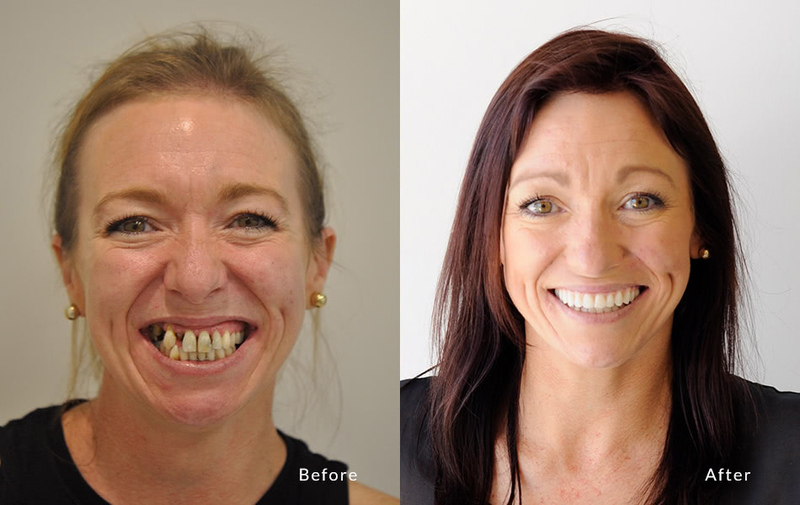 Check out some of the amazing results our patients have achieved at The Point Dental. Want one of Melbourne's best smiles? Our practice philosophy is to deliver world-class services with excellence to create healthy, beautiful smiles. We provide general and cosmetic dentistry for local families in Point Cook and surrounding suburbs. If you suffer from Dental Fear or experience anxiety we also provide Sleep Dentistry, a gentle approach to complete your dental work virtually pain-free. We are dedicated to delivering quality dental care personally tailored to your needs, with a unique approach that ensures your comfort and safety every step of the way. Your oral health is intrinsically connected to your general health, which is why we are so passionate about providing remarkable care – it’s not just about having a beautiful smile it’s also about caring for your overall well-being. We understand that you want to find a dentist you can trust, and let them guide you to achieve optimum dental health for life. We are proud to say you’ve come to the right place. We’re here to help. Call now to speak with our friendly staff or to arrange an appointment, we’re located in Point Cook and are happy to answer any questions. We want your to love coming here, like all our existing patients. Your comfort is always our top priority. We aim to make your visit as relaxing as possible. We even offer sedation or GA if you wish to sleep through your treatment. If you hate dentist, this clinic is definitely for you. We love nothing more than creating great smiles for our patients. So why would we compromise our excellent craftsmanship by using poor quality materials? All our dentists are highly experience, all our materials are of the highest quality, and we only work with reputable local dental labs. We understand that no two smiles are the same, and everyone has different needs. We take time to explain all the options, making sure you understand all the pros and cons, and the cost, so that you can decide what is best for yourself. We want you to make an informed decision. No one likes to brag, but we create smiles that are so awesome we can’t help it. We like to share what we do, and we do it well. We don’t just do things blindly, we understand what can fail, and will advise you if what you want is not achievable. We love our patients as much as we love dentistry. We are passionate about exceeding your expectations. We never rush, and we will always take time to listen to your concerns. We want you to feel well looked after by treating you the way we would like to be treated. Our cost is competitive to reflect the quality and the craftsmanship that we offer. We keep cost realistic to allow us to offer the service and quality that patients expect from us. We offer interest free payment plan to give you the freedom to get the treatment you need. Have some questions? We would love to help! The whole staff at The Point Dental are just amazing, friendly and knowledgeable!! !Dr Koon is just amazing and his work is fantastic! Would highly recommend The Point Dental to everyone. I came with great fear of dental work and thanks to the encouraging support of Dr Koons team, ended up, having my implants done with only a local anaesthetic, which saved me a lot of money (for the planned GA). There was no pain during the procedure. Dr Koon radiates calmness, assurance, acceptance and did a very sound and professional job. After the procedure I had no bruising at all! Dr Koon and his team go out of their way to make you feel comfortable, save and cared for. The atmosphere in the facility is warm and welcoming. Any questions also were answered gladly until I understood what would get done. Everything was perfect! There is nothing I could wish for. Thank you Dr Koon AND Team! I can not recommend Dr Wilfred Koon and his team at The Point Dental enough. I contacted many clinics both here and overseas to explain and assure me of actions and costs associated with all 'all on four' and other dental implant options. Dr Wilfred Koon was the only one who spent the time to ensure I understood the extent and costs associated with proposed works. Dr Koon is is amazing, he is honest, articulate and an absolute pleasure to talk to and deal with. I am so pleased I chose Dr Koon to undertake my 'all on four' dental work. Dr Koon and his Clinic at The Point Dental thoroughly exceeded my expectations of commitment and care. I thoroughly recommend Dr Wilfred Koon and the team at The Point Dental for "allonfour' implant surgery and care. Dr.Koon and the staff are professional but also caring which puts you at ease. Highly recommend them to anyone who is terrified of going to the dentist. I have had major dental work done earlier this year I must say that the whole process was just so easy. The Point Dental Team are the most professional that I have ever seen they are very caring compassionate and very polite, well done to his team. Dr Wilfred Koon what an amazing brilliant humble man he just makes you feel so comfortable and at ease very thorough throughout the whole process, explains everything in detail. He has given me a smile, I actually smile in photos now what a difference he has made to my life I would highly recommend The Point Dental for all your dental needs. Anyone who has a dreadful fear of going to the dentist has to meet Dr Wilfred Koon,words cannot describe my experience and gratitude to this wonderful man and his team!Not only did he create an amazing piece of dentistry,he has restored a faith and confidence of something I had lost a long time ago.I thank you all at The Point Dental! There's nowhere better, amazing admin staff and a beautiful clean clinic. For the 1st time in my life I no longer fear the dentist. Dr Koon is just brilliant! Get rid of my top two wisdom teeth there 2 days ago. All staff are nice and professional! Very good experience. Feel you are being cared by them! I recently had major dental work completed. I couldn’t be happier with the results. My experience was a very positive one. Dr Khoon was amazing. He was very professional, patient, caring and made me feel very comfortable and at ease. All the staff were fantastic. I wouldn’t go anywhere else now. I highly recommend The Point Dental to all my family and friends. Thank you to everyone! I had my all on 4 done at The Point dental... was looking for something local because I know I will be going back for more than a few times for the procedure and check ups. Dr. Koon was very very helpful, patient and informative. I couldn't be any happier with my new set of teeth. The girls at reception are always welcoming and guided me through the process especially Lee. I was hesitant at first but it was all worth it... most especially NO PAIN! Had my all on 4 done more than a year ago. It has totally changed my life and it's the best thing I've ever done! Great experience and the team is fantastic. Very professional. I've moved away from Point Cook, but I still come here for my clean. Can't highly recommend them enough!